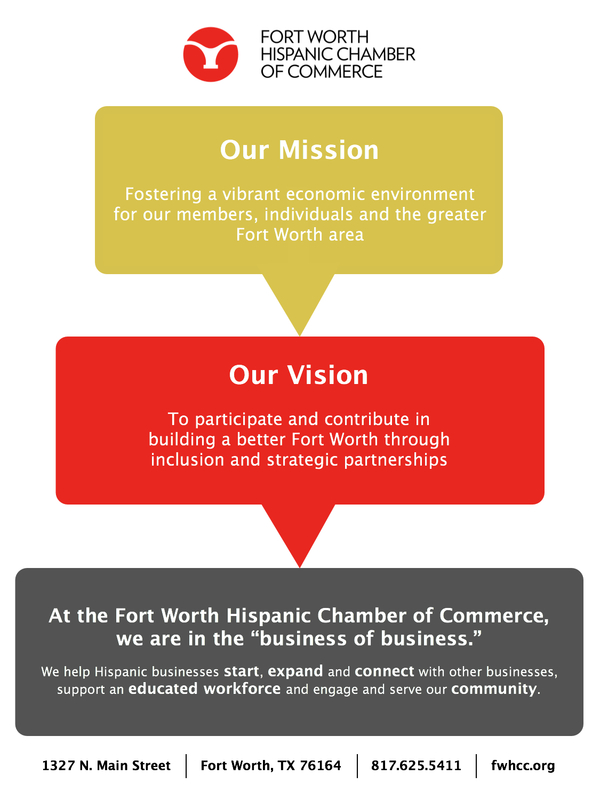 The FWHCC is dedicated to creating, enhancing and promoting business and economic development opportunities in Fort Worth. We are committed to being a consistent resource for the local business community and members by supporting training and education initiatives for entrepreneurs, workforce, and the overall community. We are strong advocates for our members and community and strive to be informed and involved in fundamental business and economic development programs. Your contribution to the Hispanic Chamber supports our mission and enhances our business development programs which focus on civic engagement, economic activity, a thriving education system, quality business development and diversity in leadership.